Okay, so we’ll get started. Several people have asked me what my name was, and so, I’m Dr. Justin Anderson, I’m a physician here in town, and I’m actually an ophthalmologist and I do cataract surgery on people. So I’m not a diet doctor, and I don’t want you to be my patient, and I don’t want you to come to my clinic. I want you to have as few doctors in your life as possible, and I want you to take as few medications as possible. We’ll talk about that during the conference. There’s a lot of ways that a lot of people can make a lot of money selling you diet products. And I don’t want you to have to buy all the diet products either. 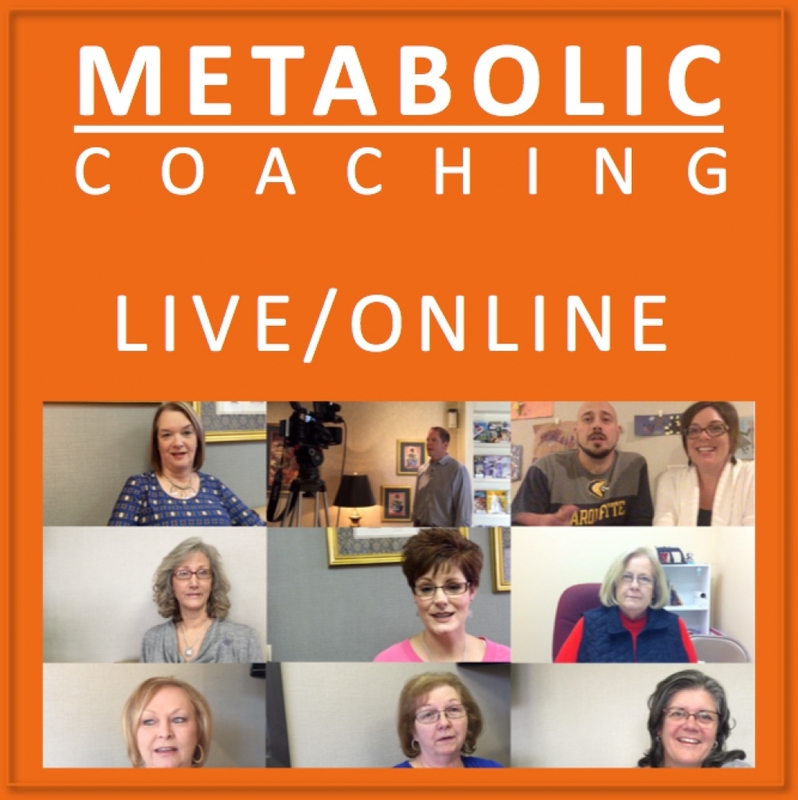 So we’re gonna talk some about these carbohydrates and the question is, “Well, if these carbohydrates are bad for you, why do we eat so much?” And then we’ll talk more about some of the ill effects of these carbohydrates. First of all, all carbohydrates cause the insulin/glucose roller coaster. And we talked about this, I showed it to you before in that slide. And what happens is, this is your blood sugar over time. Your blood sugar starts out somewhere around normal. You eat a high-carb meal, it doubles, it goes up to about 180. What happens is somewhere around 2-3 hours later, you crash. And when you crash, you’re hungry. What causes your blood sugar to be low and for you to be hungry two hours after you eat? The meal before. It’s just like a smoker. Smokers say that they smoke because it relaxes them. And a smoker has to smoke every single hour, on the hour, to feel relaxed. But what caused them to feel tense was the cigarette before. A smoker has a smoke, he feels relaxed, he feels good. And then over the course of an hour the nicotine wears off, he starts feeling stressed, and as he starts feeling stressed out he needs another cigarette. And another cigarette relaxes him – again. So he’s actually going through a withdrawal. And that’s what this is, this is like blood sugar withdrawal. If you want to not feel this way and you want to not feel hungry every two hours, you stop eating these things. And that was one of my biggest realizations, when I started losing weight, I would have some days where during the middle of the morning, two hours after breakfast, I was excruciatingly hungry. And I would think, “Man, why am I so hungry?” It’s because I had oatmeal. If I ate some sort of carbohydrate meal in the morning, two hours later I’d be terribly hungry. Because I went here. Now that’s all carbohydrates. All carbohydrates cause that to happen. The second thing is sugar. Sugar specifically, including sugars like high fructose corn syrup and table sugar, they stimulate your brain. They stimulate what’s called the reward center in your brain, and it gives you just a little bit of a “high.” And it’s not a feeling of like, being high, it’s just like a pleasurable feeling. And you sort of get that pleasurable feeling and so when you eat sugar, you want to eat more sugar because it kind of makes you feel good. And wheat does both of those things, wheat causes the blood sugar crash, wheat stimulates the reward center in your brain and wheat specifically has substances in it called “exorphins.” What the exorphins do is they stimulate your brain and give you a little high. And what happens is, two hours later, when you eat wheat, .. we’ll go back over to the board. When you eat wheat, this blood sugar roller coaster happens. And not only does the blood sugar roller coaster happen, but just like a smoker, two or three hours you start going through wheat withdrawal. So these exorphins that are stimulating your brain give you a little bit of a high, two or three hours later the blood sugar crashes. Not only are you hungry but you’re going through withdrawal, just like a smoker — just like a smoker who smoked, and now it’s an hour later and he needs to feel relaxed again because he’s starting to feel tense. 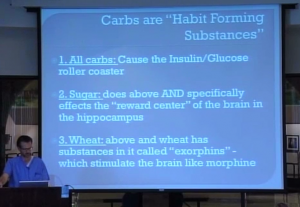 So even if you don’t consume heroin, and you don’t consume cocaine, if you’re consuming wheat, you are consuming addictive exorphins. You’re consuming a drug. That’s why, if the only thing that you did was cut wheat out of your diet completely, anything made out of flour, anything made out of this, a type of bread, people who cut the wheat out of their diet, they consume 350-400 calories less per day just by cutting out the bread. And that’s because people who eat wheat, you don’t realize that consciously, you don’t do it consciously but when you eat wheat, you do it because you get a little high. 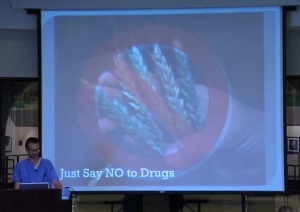 And when you’re not eating wheat, you eat less because you’re not eating for the drug-like effect of the exorphins. So wheat is a uniquely fattening food. Just say no to drugs. So we talked about the exorphins, the exorphins in wheat are the same thing as nicotine in cigarettes. 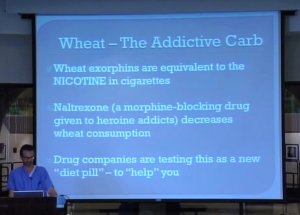 The exorphins are what make wheat addictive, just like the nicotine is what makes cigarettes addictive. And that’s why, when I talk to people about eating low carbs and they say, “Oh, bread, man I love bread, I love rolls, I love.. I can’t stop eating bread, bread’s the best.” You can hear that and recognize that as a sign of what it is — a sign of wheat addiction. The good thing is, wheat may be addictive, but if you go through withdrawals from wheat, let’s say you stop eating wheat, the withdrawal syndrome is very mild. You may feel a little irritable for two or three days, but it’s not like going through withdrawal from heroin, in which case you’d have to be hospitalized and put on medication and you get the sweats and the shakes and it’s dangerous. In fact there’s a drug, and that drug’s called naltrexone. If they put people in an all-you-can-eat buffet, let’s say I took all the people on this side of the room and I gave you naltrexone. And I put you in an all-you-can-eat buffet of wheat products. And I took this side of the room and I just gave you a placebo, which is a pill that doesn’t have anything in it, and I’ll put you guys in an all-you-can-eat buffet. 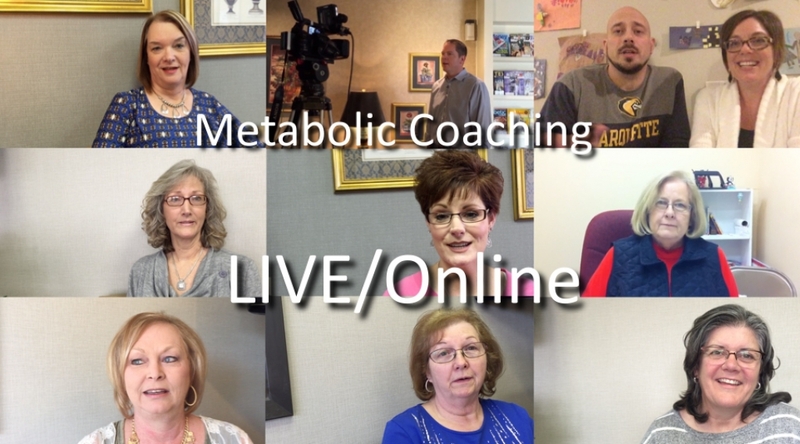 The people who took naltrexone, which is the morphine-blocking drug – it blocks the effect of morphine on your brain – they would eat significantly fewer calories than the people on this side of the room.